You will earn 4,794 Reward Points. Earn 1 reward point for every 1 dollar spent. Refrigeration system: All components are mounted to the top cabinet ceiling, outside the food zone and are assembled as one piece and can be removed as one piece. Environmentally friendly R290 refrigerant is used. 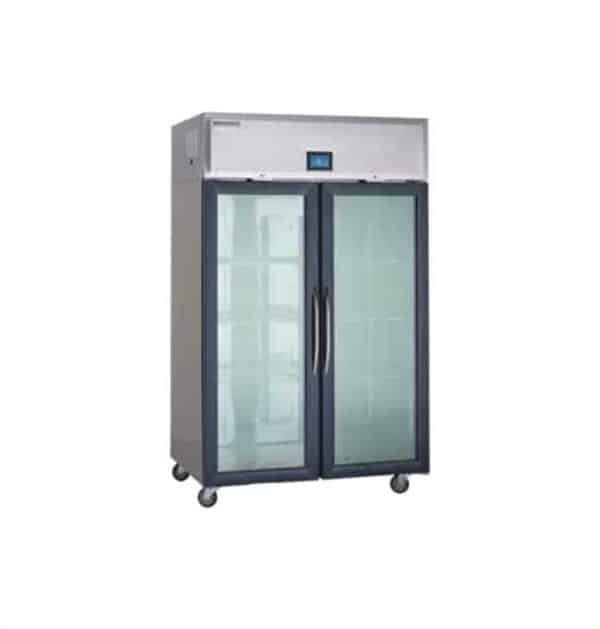 System has the capability of maintaining between 33˚F and 40˚F in heavy use food service operations. Refrigerant is metered using a highly responsive thermostatic expansion valve. System is controlled using an electronic temperature control, which provides improved pull down times, reducing compressor cycling and longer compressor life with lower energy consumption. Control system uses adaptive defrost to assure evaporator coil is free of ice and operating at optimum efficiency. Evaporator condensate is eliminated using an energy efficient hot gas system. Units are completely insulated with high density foamed in place environmentally friendly, Kyoto Protocol Compliant, Non ODP (Ozone Depletion Potential), Non GWP (Global Warming Potential) polyurethane.